Get your Dryer Repaired Today. Dryers are very important to our daily life. We know how important it is to get a dryer repaired if it stops working. When you use call the Appliance Repair Doctor for a dryer repair, you can expect that it will get fully fixed, same day. Give us a call today! Same Day Service - Same Price! We’ll call you back to confirm within a few minutes. Estimated response time: 5 minutes. Why do thousands of California residents choose us? Available 7 days a week, on evenings and weekends Holidays, our technicians work with your schedule and are located around the corner, wherever you are in The San Francisco Bay Area. All of our technicians are licensed by the State of California to do repairs on all appliances. They all receive comprehensive training so that you get the best possible service. We are Fully Insured so you can have peace of mind when you use us for your Dryer Repairs! 1 Year Warranty on Parts, and 90 day Service Warranty. NO ADDITIONAL COST. Get the service you want and deserve. No complicated mumbo-jumbo, or confusing jargon. You can rest assured knowing our service is hassle-free and covered by full service warranty. My dryer was making a horrible sound. Elior came quickly, explained everything including pricing (which I thought was reasonable) upfront and then fixed it in about an hour. I am 100% satisfied. David worked an amazing, beyond-the-call-of-duty repair job on my ancient dryer, including rewiring the new motor to make it compatible and calling the manufacturer to let them know that said motor and dryer model aren't a natural fit. David and his colleague were tireless in their ministrations, and were polite, informative, and personable. Elior from The Appliance Repair Doctor was great! He came out to our home in a timely manner and quickly assessed the problem with the dryer. He had the replacement part available and efficiently repaired the job. We would highly recommend him to anyone that is looking for a professional Appliance Technician. On Sunday morning, as promised, technician ALEX called and said will be over in about 20 minutes, He was here promptly in 20 minutes. Getting MUCH better. ALEX introduced himself and his partner that he was training. OK??? They both attacked the problem and in 20-30 minutes, the problem was solved, machine fixed and price was very reasonable, considering it was Sunday and the call was made on Saturday. ALEX and his partner were very professional and performed a very expert job. I would recommend this company HANDS UP!! I you need an immediate repair job and want a thorough job performed, I highly recommend The Appliance Repair Doctor...and ALEX!! The full line-up of dryer brands that we repair includes: Maytag, Kenmore, Samsung, Frigidaire, Norcold, Amana, Dacor, Thermador, Kitchen Aid, Whirlpool, Haier, Bosch, LG, GE, and other house-hold appliance brands. 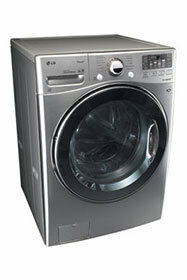 LG dryers feature advanced energy efficiency options, which can save you time and money. But when your LG dryer breaks or stops functioning when you need it most, you can call The Appliance Repair Doctor for same day dryer repair in San Francisco. Whirlpool’s state of the art clothes drying technology makes doing laundry a breeze. If you live in San Francisco and The Bay Area and your Whirlpool dryer stops working, call The Appliance Repair Doctor for affordable dryer repair in San Francisco and The Bay Area. 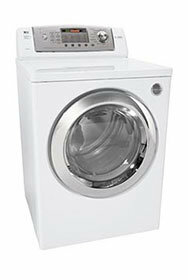 Ask us about same day dryer repair services. The Maytag Washing Machine Company was founded back in 1893 and is still, to this day, viewed as one of the most trusted clothes dryer on the market. We offer same day Maytag dryer repair in San Francisco and The Bay Area for whenever you need emergency clothes dryer repair services. We also service Santa Clara County, San Mateo County and Alameda County among other Bay Area counties. Founded in 1892 by Thomas Edison and Charles Coffin, General Electric has become one of world’s largest and most profitable corporations. Their innovative design and functionality has brought them to the forefront of appliance technology. 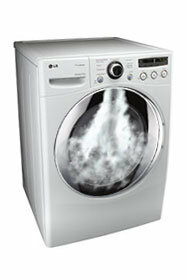 The Appliance Repair Doctor offers Same-day GE dryer repair in San Francisco and The Bay Area. Whenever your clothes dryer breaks down, you can count on The Doctors for a speedy repair! Kenmore appliances, including clothes washers and dryers, are sold exclusively through Sears and depending on the model number, are manufactured by a variety of companies including Whirlpool, GE and LG. 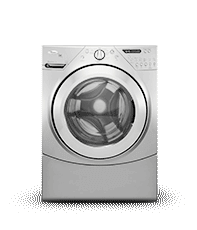 If you bought your Kenmore dryer through Sears and are in need of clothes dryer repair, San Francisco’s Appliance Repair Doctor can help. A leading technology company from South Korea, Samsung electronics and appliances can be found in many homes around the world. With its great reputation, many consumers look to purchase Samsung appliances including dryers. The Appliance Repair Doctor knows Samsung appliances inside and out, so if your dryer ever breaks, do not hesitate to call! The world’s second largest appliance manufacturer behind Whirlpool, has been a pioneer in developing home appliances for nearly a century. With its innovative products many homeowners turn to its reliable name for their home appliance needs. If your Electrolux clothes dryer ever breaks down, The Appliance Repair Doctor is a quick phone call away. With our same-day service we will have your dryer up and running in no time! A pioneer in refrigeration technology for almost 100 years, is currently owned by one of the world’s largest appliance manufacturers, Electrolux. Frigidaire dryers provides homeowners the reliability and reputation of its parent company, while being very affordable and innovative. The Appliance Repair Doctor’s Same-day repair service will be able to fix your broken dryer before those loads of laundry pile up! Call The Doctors today! In addition to the 8 dryer models we’ve highlighted above, The Appliance Repair Doctor also services many other less prevalent brands of dryers. Contact The Appliance Repair Doctor for a free over the phone Dryer Repair Estimate in the San Francisco and Bay Area today. 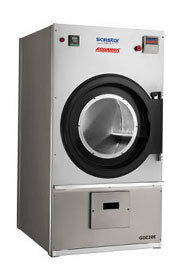 Same Day Dryer Service And Repairs In San Francisco, Marin County, Oakland & the rest of the Bay Area. If you live in the The Bay Area, The Appliance Repair Doctor repair technicians are always in the neighborhood. With same day dryer services we will arrive on site soon after you call and get right to fixing your dryer using our well-stocked service vans full of the most common dryer repair parts. Looking to Repair a different appliance? Limited time discount. Use once on any repair service. Accepting cash, debit and major credit cards.